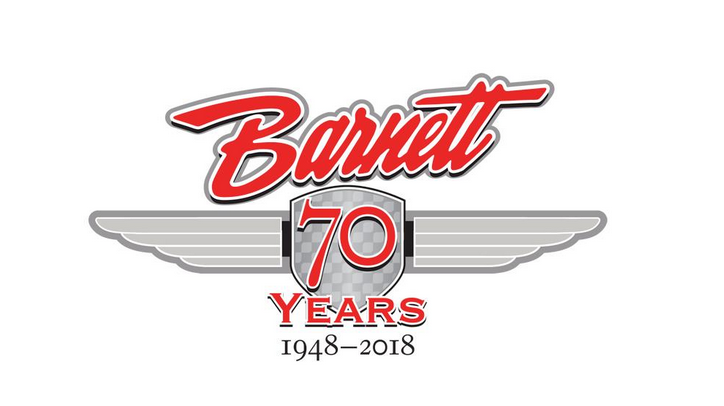 Barnett Tool & Engineering is proud to announce that 2018 will be our 70th year in business in the motorcycle industry! Charlie Barnett first started in his garage making parts for his riding buddies. He knew he could make better parts for motorcycles than what was being offered and spare parts weren’t easy to come by, so Charlie started making his own. In 1948, he opened a shop in a small storefront in Huntington Park, CA with his wife, Afton. Cable assemblies for British bikes were the majority of the business back in the early days. The late 50’s brought the introduction of Barnett clutch plates. Thankfully, Honda helped bring motorcycling more into the mainstream in the USA and this created a greater demand for quality aftermarket products. New products, new ideas, and the involvement of the next generation of the Barnett family shaped the 60’s for Barnett Tool & Eng. The 70’s and 80’s brought growth, expansion and new and improved materials. The 90’s brought more new materials, such as our Kevlar friction material in 1991, as well as improved product designs and state of the art technology and machinery. The 2000’s brought more new products and more new high tech machinery to make those products. Scorpion high capacity clutches for Harley Davidson and Victory were added to the line-up and we also introduced high efficiency clutch cables to the industry. Our Stealth line of ‘black on black’ cables were added to the HD and Victory lines along with throttle by wire extensions for Harley Davidson models. Clear derby covers for 1998 & later HD Big Twins were also introduced in recent years. In the off-road market we expanded our long line of Dirt Digger clutch kits and added all new billet clutch baskets, pressure plates and clutch covers for popular off-road motorcycles and ATV’s. To this day, we continue to produce clutches and control cables with direct-fit upgrade applications for just about everything on two wheels. From vintage bikes to the newest machines on the showroom floor, street to off-road and even ATV’s. All Barnett products are made in-house and in the USA with top quality materials and designs. Multiple quality checks throughout the build process guarantee that the customer is getting a no-compromise upgrade. We also specialize in custom length cables, brake lines and specialized “one-off” cables for a wide variety of applications. We are the industry leader in custom cables made to order! Charlie and Afton believed that in making performance motorcycle parts, they must be of the finest quality and that customer service and satisfaction must be second to none. Those beliefs run as deep today with the Barnett family as they did 70 years ago. Still family owned and operated, Barnett products are still made in America- by riders, for riders. 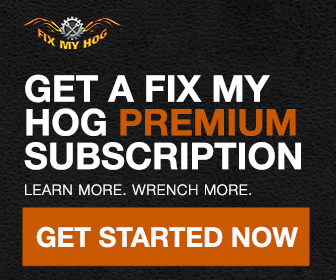 Everyone here at Fix My Hog sends our congratulations! Back in 2004 when we started FMH the team at Barnett was there to supply us with their superior products and sponsorship. Thank you and keep on innovating and wrenching. I must have misunderstood this program did i have to pay to buy a ,video to work on my bike ? With your Premium membership you do not need to purchased individual videos. Just make sure you are always logged in to your membership for the website recognizes your Premium access. All of the videos available to are located in the video library under the VIDEOS tab in the menu bar; if you are looking for a specific repair we recommend utilizing our search feature on the right hand side of the site.